…finding an expert resume writer shouldn’t be! Inspired Resumes collaborates with all professional levels in fields including Financial Services, Marketing, Communications, Sales, Operations, Human Resources, Customer Service, Client Relations (and more!) to develop customized tools that successfully tell your career story – and align with your job search goals. You need a resume that makes an impact! We work with you to create one that effectively demonstrates your experience, skills and accomplishments – and your potential value to hiring managers. 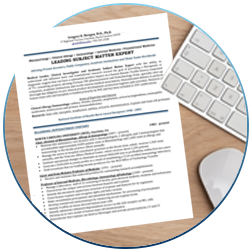 A compelling cover letter will help move your resume to the top of the pile. 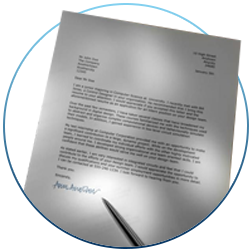 We will write one for you that highlights why you’re a perfect fit for the job! 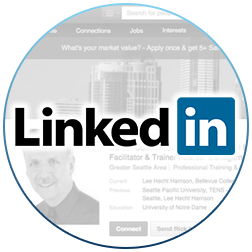 Your online LinkedIn profile should complement your resume. We will develop one that efficiently utilizes each section to showcase your experiences – and enhance your job search. For 10 years Inspired Resumes has partnered with entry-level, mid-career, and executive professionals to deliver customized job searching solutions through effectively-written resumes, cover letters, and LinkedIn profiles. 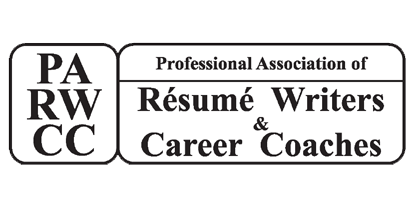 Our accomplished writing team has earned highly-regarded industry credentials as Certified Professional Resume Writers (CPRW) and an Academy Certified Resume Writer (ACRW) and are specialists in delivering powerful career tools and expert job seeking guidance. Whether you are looking to kick-start your career or take it in a new direction, just let us know a few basic details and we’ll start work on meeting your goals today! Deidre is a Certified Professional Resume Writer (CPRW) and Executive Director at Inspired Resumes. She leverages strong writing, blogging, communication, branding and marketing skills – along with her experience of working within the executive search industry – to provide effectively-written resumes and goal-oriented career strategies to active job seekers. 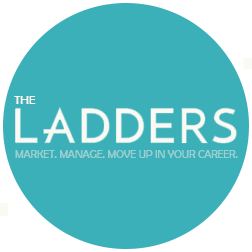 Her professional advice has been published on TheLadders.com and other highly-recognized job search related sites. Kimberly, a CPA (Certified Public Accountant), CPRW (Certified Professional Resume Writer), and ACRW (Academy Certified Resume Writer), is the Senior Writer for Inspired Resumes and a dynamic professional eager to write confidence-building resumes and LinkedIn profiles for clients. She began her career in public accounting. While working for Andersen and Deloitte as a financial statement auditor for four years, Kimberly gained diverse exposure to organizations within manufacturing, sales, distribution, education, government, and healthcare. For the next six years, Kimberly grew in high-profile finance positions at W.W. Grainger and HSBC, winning awards and promotions annually. Her work cultivated almost 10 years of extensive private sector business writing, audit, and corporate finance experience. Within each of her roles, Kimberly recognized a passion for writing and career development. In 2010, she began her career consultation practice. Because of her demonstrated ability to operate in varying industries and with all-levels of professionals, Kimberly has partnered with executives and directors, mid-level professionals and managers, entry level professionals and recent graduates, post-retirement and new career transition job seekers, and military-to-civilian transition job seekers. Kimberly brings unique insight to resume and LinkedIn profile writing, with a highly collaborative approach that pulls from her own corporate experiences and current industry trends. Engaging an effective, confident prose that maximizes client accomplishments, Kimberly aligns resumes with hiring manager expectations, increasing the chance for an invitation to interview. Francis is a Certified Professional Resume Writer (CPRW) who has spent his entire career on Wall Street. He began as an investment banking analyst with UBS Warburg before transitioning to an investment banking finance, strategy and management track with Morgan Stanley Capital International, and later J.P. Morgan. Francis graduated from Harvard with a degree in History and holds an MBA from Columbia Business School. He has spent valuable time on the other side of the job search table as a member of the Harvard undergrad and Columbia Business School recruiting teams, and knows first-hand how valuable a well-thought-out, clearly written, and impeccably formatted resume can be in terms of offering a positive first impression. He likes to say he became a professional resume writer by accident and credits his meticulous approach to editing resumes to his mother, who taught him the value of less being more. In business school, Francis volunteered to help critique and revise resumes of first-year MBA students seeking opportunities in the financial services industry, and offered expertise and experience in many ways. Francis then went on to work with Vault.com as an MBA admissions essay consultant, leading to an opportunity to write resumes professionally. Since 2009 Francis has developed over 900 resumes for professionals and executives at all levels. He is established in writing interview-winning resumes that resonate in any industry, with a background translating best to those seeking jobs in high finance, management consulting, law, healthcare, biotechnology, and high technology. Francis currently splits his time between the United States and Seoul, Korea with his family, offering the ability to strategically service clients globally. As a Certified Professional Resume Writer (CPRW) Steve brings over 18 years of writing clear and effective resumes and CVs for clients at every level around the world. He is familiar with job dynamics and responsibilities in a wide range of industries, such as Financial Services, Accounting, Sales, Marketing, Operations, Supply Chain, Customer Service, HR, Advertising, PR, Education, Non-Profit, Government, Military Transitions, and other niches. Steve also has experience working in the retained executive search sector, where he polished his talents in communications, customer service, and project management. 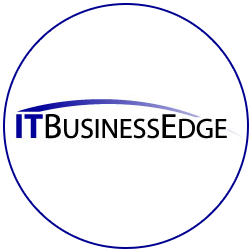 He gained valuable exposure to the fast-paced executive recruiting marketplace. He always puts a premium on accurately identifying and packaging a client’s best skills, abilities, and achievements in order to create a sharper tool and get better traction in the job search. Steve has helped executives and managers optimally position and promote themselves to companies of all sizes, from start-ups to Global Fortune 50 leaders, as well as compete in the growing flexible workforce sector. Steve has interviewed, coached and counseled top executives, managers and professionals in multiple cultures through difficult transition processes, having acquired a solid understanding of cross-cultural dynamics after living overseas himself for long periods of time. Steve has an extensive academic background with an M.A. Degree in German Literature, an M.Div. Degree in Theology, and a B.A. degree in History. See what clients are saying after working with Inspired Resumes! If you want a resume that stands out and gets you noticed, use Inspired Resumes to create the attention you will need in a successful job search. …the final product was just what was needed in the market place. I owe a million thanks!! I wouldn’t even attempt another resume without Inspired Resumes and am happy to recommend to my friends. Inspired Resumes enlivened and animated my resume to tell my professional story, to bring it to life. My ‘inspired resume’ has garnered positive feedback from everyone who has received it!